Designed to improve the quality of digital sound recordings. 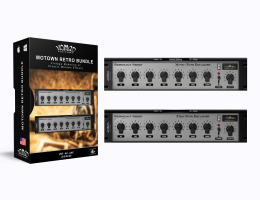 These plug-ins recreate the warm sound qualities of legendary analog hardware passive equalizers used by Motown engineers. The plug-ins provide a simple and functional Vintage/Retro-Style interface, as well as low CPU consumption for lightening-fast processing. It is time to add the Motown vibe to your mix.